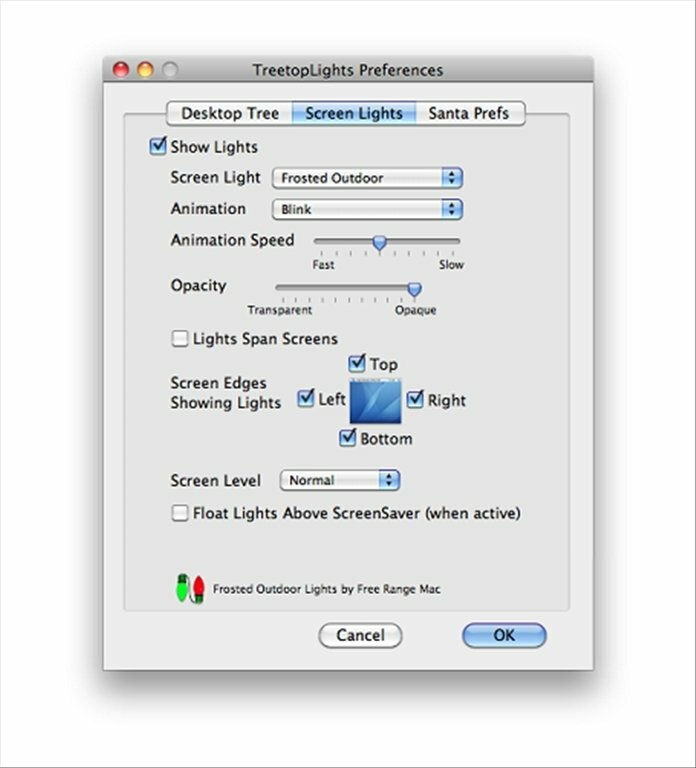 The Christmas spirit has reached your Mac OS X by the hand of TreetopLights, a Christmas tree for your computer's desktop which is accompanied by lights for the margins of the screen. 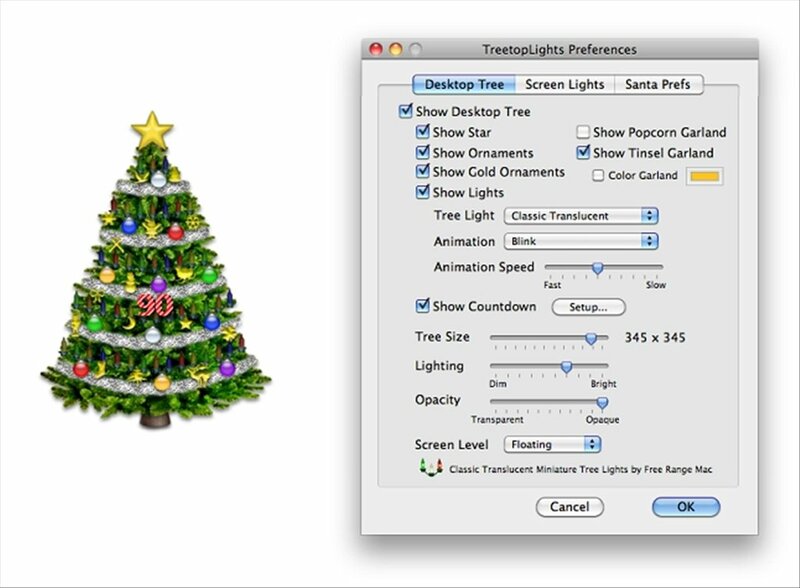 The nice detail about TreetopLights is that it will be up to you to place the decorations on the tree. 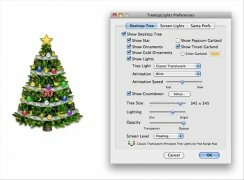 There is a simple lights library within your reach with various kinds of illumination, balls, a start to top the tree and even snow. 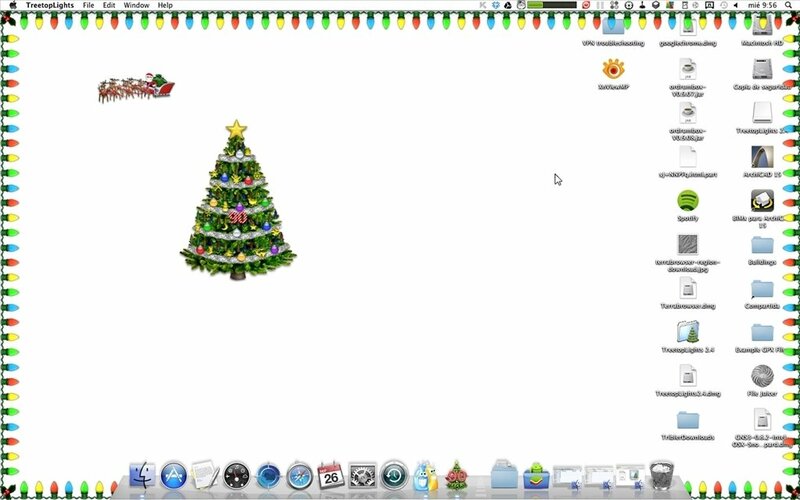 Take Christmas to the desktop of Mac OS X. 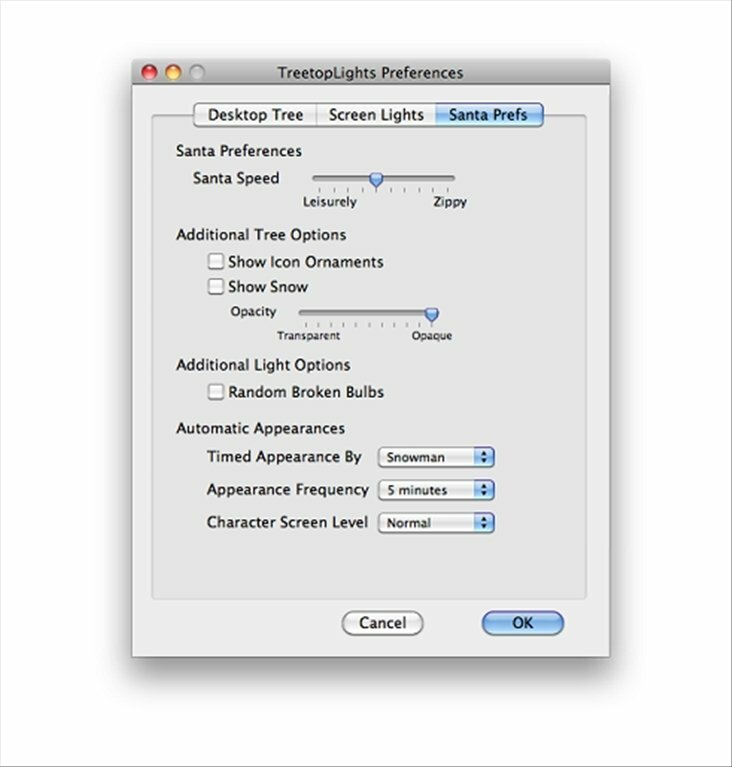 Choose the lights and the rest of the decorations of the tree. View Santa Claus on his sledge. Control the ilumination, transfer and size. 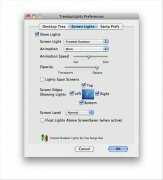 Place lights on the toolbar. Includes a counter that counts down to Christmas. Send Christmas greetings by mean of the Mail application. 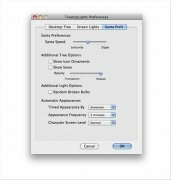 Once you install the program visit its preferences to edit and configure its behavior. When you have everything ready all you have to do is enjoy of these days of peace and love. Requires Mac OS X 10.3 or above.